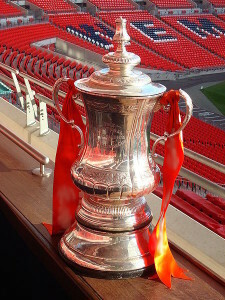 FA Cup holders, Wigan Athletic, will host Crystal Palace in the Fourth Round of the FA Cup on Saturday at 10:00/15:00. Read on for my preview and prediction including analysis and betting odds. Much has changed since last season’s FA Cup run led to Wigan beating Manchester City at Wembley Stadium. They have a new manager and have lost several key players while they are currently in 11th place in the Championship. Wigan’s round three win over MK Dons required a replay and two goals in extra time to advance. However, it also meant that they stretch their to nine games unbeaten in the FA Cup. Over the weekend they lost their first match in their last nine in all competitions. This, however, was preceded by six losses in all competitions. While Crystal Palace remains in a relegation battle they have been able to move clear of the drop zone into 16th place with 20 points (just two above). In their last six matches there have been less than three goals scored, however, they have scored more than one goal just once in their last eight. They have also kept three clean sheets in their last six games, including their 2-0 away win over West Brom in the FA Cup Third Round. This should be a good match and I believe they are rather evenly matched. My pick is for a Crystal Palace win. They have been playing better lately and their most recent losses have come against teams in the top six of the EPL. Wigan have had their struggles this season and are not the same team that won the FA Cup last season, though it does seem that they have played better since the Europa League finished. Todd, with Palace having a vital 3 pointer home match against Hill on Tuesday it must be very doubtful if they will field their first team squad. Therefore a home Wigan win seems more likely as they will be looking to retain the FA Cup for at least one more round. That is an excellent point and if Crystal Palace does field a second string team it would be a good excuse for going out of the cup, much the same way West Ham did. Though, I doubt Pulis will get as much flack as Allardyce for doing it.